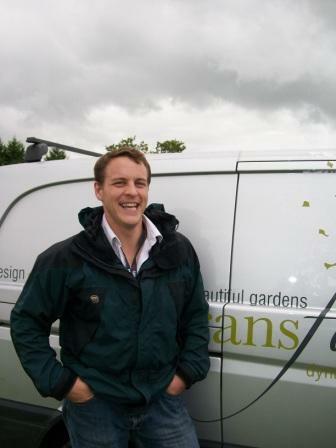 Haslemere, September 2011: Haslemere based, Transform Landscape Design and Construction Limited is delighted to announce the appointment of Ben Clutterbuck, as Tree Care Manager. Ben joins the transform team to develop our Tree Care Service. Ben has 15 years’ experience working the in forestry and arboricultural industry, most recently as Tree Service Manager for the London Borough of Ealing. In this role, he oversaw the management of the council’s 50,000 plus tree stock. As well as being a qualified tree surgeon, he is a qualified arboriculturalist and is a professional member of the Arboricultural Association. Ben is passionate about trees and has a wealth of up-to-date knowledge about tree diseases and management, as well as expertise in planning and other tree related legislation. In addition to re-invigorating our current tree surgery service, he will allow Transform to offer a wider range of professional services and tree care advice. Based in Haslemere, Transform Landscape Design and Construction Limited designs, constructs, restores and maintains gardens in the surrounding area of Surrey, Hampshire and West Sussex for private and commercial clients. We are fortunate that many of our staff have been with us for a number of years and we pride ourselves on their courtesy, enthusiasm and training. They are a team of individual specialists who use the latest, most effective equipment to achieve outstanding results, and are particularly ingenious with challenging sites or difficult access. Simon Gray, Managing Director, formed transform in 1988.